I have made several questionable decisions in my short history as a father. 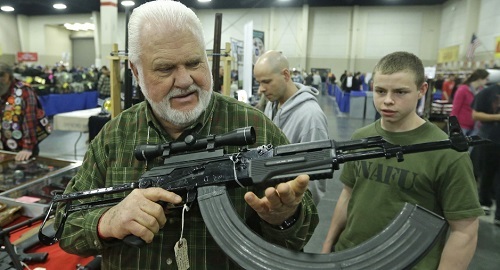 One of the more interesting was taking my small daughter to the Gun and Knife show. I established in an earlier post that we lived in a questionable neighborhood so I figured reliable switchblade or shoulder fired rocket launchers might be a good idea. 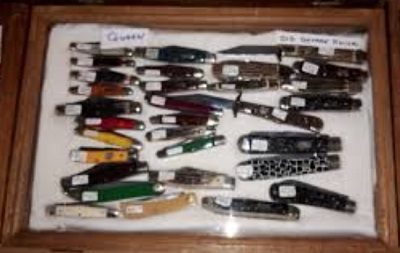 What better way to get untraceable firearms than a Gun and Knife Show? For people unfamiliar with the southern US; anyone can buy guns and knives just about everywhere and it isn’t a big deal. Everyone has guns and knives. There are outdoor flea markets with metal tables under white canvas tents and one table might have used rifles and the next vendor will have puppies or chickens for sale. Further down might be rusty hand tools beside a stand selling home-made jams. It is the country version of an open market that you might see in an Indiana Jones movie. If it is good enough for essential oils and homemade baby accessories then a flew market is good enough for guns. 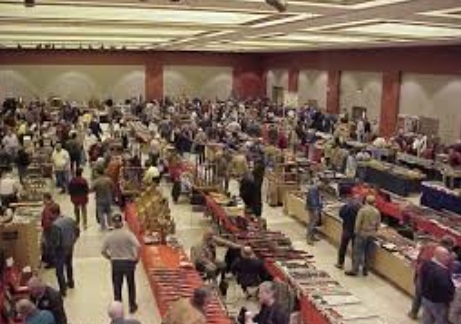 The Gun and Knife Show is a spectacle that is boiled down to get rid of the useless things like hand tools and focus on decorative knives, swords, bulk ammunition, and guns. One booth had collectible money but that was the only non-weapon related vendor I saw. (Is collectible money as strange to everyone else as it is to me? Old dollars and coins are worth more? I saw a two dollar bill for sale for five dollars…) Anywho… My wife and I took toddler Jane to this market of modern weaponry just to stroll around and enjoy the ambiance. I personally like the Steven Segall Santa with a million round clip. Plus the irony of Grandson looking confused while wearing a SNAFU shirt. So powerful. One of the more aggressive vendors barks at us as we walk by, “Hey I have something for the little one there!” I slow down and give him my attention thinking maybe it is a colorful sticker of Henry the Handgun or something along those lines. Candy bullets maybe? He pulls out a handful of small plastic pocket knives. A respectable toddler toy set, right? “Sounds like a real almost-deal you got there.” I don’t know what bothered me more, a) A man selling buckets of knives and having no concept of math and sales incentive or b) He is trying to sell weaponry to a toddler. Supermom is confused and avoiding eye contact. She is understandable uncomfortable because the level of conspiracy theory and bullets really gives off a feel of North Korean border encampment. I put my arm around her and smile at the whistle toothed gentleman and we make our way to a more normal AK-47 display where the vendor has a respectable partially grey crew cut and button up tactical clothing. Plus he has all of his teeth. I never knew how much my opinion of someone was influenced by dental representation. After completing a half day tour of all the weapons available we managed to avoid purchasing anything. However, after being exposed to several different mindsets and collectors, we did go to an official outdoors store and purchase a new handgun for protection. From people we met at the Gun and Knife Show. These are riding around in a trunk near you… I want one. 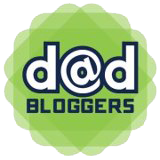 If you have ever been to one of these shows and found yourself cornered by a vendor selling deadly weapons to your toddler, this post is for you. You’re welcome. As a Brit this just boggles my mind, guns are something the army, Police criminals and the odd farmer own, not something us normal people would buy (probably a good job or I’d be in prison, would be too easy to kill then, and I get wound up easily), so a special gun show like this just seems crazy (no offence). None taken I grew up around it so it isn’t that strange to me, but it is very different than other places. It’s not something I’d contemplate (at that age, at least) as a parent now, but as a child, I remember all of my friends getting bb guns in kindergarden and real rifles (well, .22s at least) in third grade. If you grew up with it, you’d think nothing odd about it as an adult, though, being gone from the South for so long, it is now a little odd for me to see some random guy (not law enforcement) openly carrying a gun on his hip for lunch to McDonald’s. My first rifle was at eight and a shotgun at ten. Gun safety was stressed heavily too. What a fun little family outing. Like a picnic but uzi’s instead of ants all around. Uzi’s don’t steal your cake. But do you hear about legislation banning ants? NO! 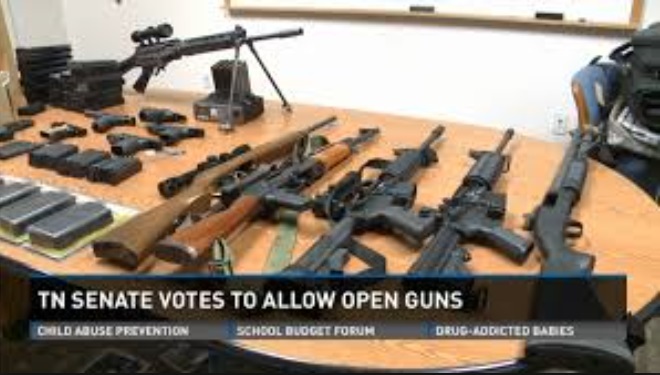 Does half the country want to take away your right to own ants? NO! Ants, the real danger to America! Word. Hey interesting factoid: the total mass of ants on planet earth is estimated to be equal to the total mass of humans on earth. There are way more ants than people so you may be right.